If you take more than a casual look at the way the mass vaccination system in the U.S. works, you see that pharmaceutical companies marketing vaccines have a lot of clout. It was the pharmaceutical industry that told Congress in 1982 that they were going to leave the nation without vaccines if they didn't get liability protection but have opposed making it less difficult for vaccine victims to obtain federal compensation in the U.S. Court of Claims under a 1986 law that gave them liability protection. It is Pharma lobbyists, who bully the FDA into fast tracking vaccines like Gardasil and who sit at the CDC's policymaking tables urging that new vaccines be recommended for use by all children so they can persuade state legislators to mandate vaccines like influenza vaccine. Today, a study published in the British Medical Journal reveals the clout that Big Pharma has in the world of medicine journal publishing, specifically the publishing of scientific articles about vaccines. In a Cochrane Collaboration review and analysis of published influenza vaccine studies conducted by Tom Jefferson, M.D., Ph.D. and his colleagues, they found that influenza vaccine studies sponsored by industry are treated more favorably by medical journals even when the studies are of poor quality. Jefferson's analysis confirms that drug companies marketing vaccines have a major influence on what gets published and is said about vaccines in medical journals. It is no wonder that there are almost no studies published in the medical literature that call into question vaccine safety. The preferential treatment of Pharma-funded studies also explains why the risks of an inappropriately fast-tracked vaccine like Gardasil are underplayed in the medical literature and why a physician like Andrew Wakefield, M.D., who dared to publish a study in 1998 in a medical journal (The Lancet) calling for more scientific investigation into the possible link between MMR vaccine and regressive autism, has been mercilessly persecuted for more than a decade by both Pharma-funded special interest groups as well as public health officials maintaining close relationships with vaccine manufacturers. Jefferson and his colleagues identified and assessed 274 published studies on influenza vaccines for their methodological quality and found no relationship between study quality, publication in prestige journals or their subsequent citation in other articles. They also found that most influenza vaccine studies are of poor quality but those with conclusions favorable to influenza vaccinations are of significantly lower methodological quality. The single most important factor determining where the studies were published or how much they were cited was sponsorship, with those partially or wholly funded by the pharmaceutical industry having higher visibility. Dr. Jefferson commented, "The study shows that one of the levers for accessing prestige journals is the financial size of your sponsor. Pharma sponsors order many reprints of studies supporting their products, often with in house translations into many languages. They also purchase advertising space in the journal. Many publishers openly advertise these services on their website. It is time journals made a full disclosure of their sources of funding. Earlier this week the National Vaccine Information Center (www.NVIC.org) called on the Obama Administration and Congress to investigate Gardasil vaccine risks. 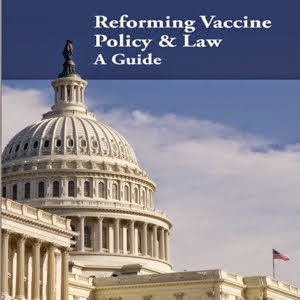 NVIC has long questioned the inappropriate influence of vaccine manufacturers in federal vaccine licensing and policymaking and state vaccine mandates. In 2006, Merck's Gardasil vaccine was fast tracked by the FDA at Merck's request and in 2007 Merck lobbyists mounted an aggressive lobbying campaign to get Gardasil mandated by state legislators for all sixth grade girls, which would have assured the big drug company a predictable market. In the past three decades, the numbers of doses of government recommended vaccines for children and medical organizations like the American Academy of Pediatrics has tripled to 69 doses of 16 vaccines, with 48 doses of 14 vaccines targeted to children under age six. Pharma lobbyists have persuaded most states to pass laws requiring two to three dozen doses of most of the 16 government recommended vaccines. Last year New Jersey became the first state to mandate influenza vaccine for children attending daycare and school. Clearly, if the makers and marketers of vaccines can influence the quality and quantity of the scientific evidence published in the medical literature proving that vaccines are safe and effective - evidence that is used by states to mandate vaccines and by the U.S. Court of Claims to deny compensation to vaccine injured children - then Congress was wrong in 1986 to protect the makers and marketers of vaccines from liability for injuries and deaths caused by those vaccines. Government vaccine recommendations, U.S. Court of Claims vaccine injury compensation awards and state vaccine mandates are justified on the strength of scientific published in medical journals. It is time for medical journals to disclose all financial ties to the pharmaceutical industry. It is time for studies questioning the safety and effectiveness of vaccines to receive a fair hearing in scientific journals rather than editors confining themselves to primarily publishing studies funded by the pharmaceutical industry maintaining that every vaccine is totally safe, effective and necessary. Kudos to the British Medical Journal for having the integrity to publish Jefferson's comprehensive analysis of pharmaceutical money influence on vaccine studies published in the medical literature. Hopefully, this will be a wake-up call for the scientific community, Congress and the public to put an end to the undue influence the pharmaceutical industry has on the science and policy of mass vaccination in the U.S.. Objective To explore the relation between study concordance, take home message, funding, and dissemination of comparative studies assessing the effects of influenza vaccines. Design Systematic review without meta-analysis. Data extraction Search of the Cochrane Library, PubMed, Embase, and the web, without language restriction, for any studies comparing the effects of influenza vaccines against placebo or no intervention. Abstraction and assessment of quality of methods were carried out. Data synthesis We identified 259 primary studies (274 datasets). Higher quality studies were significantly more likely to show concordance between data presented and conclusions (odds ratio 16.35, 95% confidence interval 4.24 to 63.04) and less likely to favour effectiveness of vaccines (0.04, 0.02 to 0.09). Government funded studies were less likely to have conclusions favouring the vaccines (0.45, 0.26 to 0.90). A higher mean journal impact factor was associated with complete or partial industry funding compared with government or private funding and no funding (differences betweenmeans5.04). Study sizewas not associated with concordance, content of take home message, funding, and study quality. Higher citation index factor was associated with partial or complete industry funding. This was sensitive to the exclusion from the analysis of studies with undeclared funding. Conclusion Publication in prestigious journals is associated with partial or total industry funding, and this association is not explained by study quality or size. Today, NVIC launched a petition and issued a national press release calling on President Barack Obama, his Administration and Congress to investigate the fast track licensure and universal use recommendation of Gardasil in 2006 and the dismissal of more than 10,000 reports of Gardasil-related reactions, injuries and deaths to the Vaccine Adverse Events Reporting System (VAERS) as a "coincidence" by federal health officials. NVIC's latest Gardasil risk report comparing the number and severity of adverse events reported to the federal Vaccine Adverse Events Reporting System (VAERS) through November 30, 2008, reveals that death and serious health problems such as stroke, blood clots, cardiac arrest, seizures, fainting, lupus and rechallenge cases are reported three to 30 times more frequently after Gardasil vaccination than after meningococcal (Menactra) vaccination. If the deaths and serious injuries being reported after Gardasil were only a "coincidence," there would be little or no difference between the frequency and severity of vaccine-related adverse events between two vaccines if the vaccines were equally reactive and the number of doses were roughly the same. Gardasil and Menactra vaccines were licensed within a year of each other and recommended by the CDC for universal use in 11-12 year olds. Although Menactra is given to boys and girls and has already been mandated in many states for high school and college entry, Gardasil is only given to girls and is not yet mandated. Menatra is given as one-dose series and, by February 25, 2008, the CDC reported that about 15.5 million doses of Menactra had been distributed in the U.S. Gardasil is given in a three dose series and the CDC reported that, by July 2008, about 16 million doses had been distributed in the U.S. This means that about 15 million doses of Menactra were given to about 15 million boys and/or girls and about 16 million doses of Gardasil - if every girl got three doses - were given to about five million girls. It is individuals - not doses of vaccine - who collapse, convulse, become paralyzed, have heart attacks, develop lupus and other chronic health problems after being vaccinated. The fact that death and serious health problems are reported 3 to 30 times more frequently after Gardasil than after Menactra is highly significant and it is irresponsible for federal health officials and Merck to blow it off as unimportant. "It's important to remember that the proven benefit of GARDASIL is that it helps prevent cervical cancer caused by the two virus types responsible for most cases of cervical cancer. Nothing is more important to Merck than the safety of our products and we carefully monitor the safety of GARDASIL on a routine basis. Experts at the FDA and CDC also continue to review data and, as recently as four months ago, said "GARDASIL continues to be safe and effective, and its benefits continue to outweigh its risks." 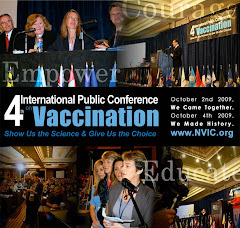 NVIC is not a medical organization and has a long history of raising concerns about vaccines that are in direct conflict with the opinion of leading medical experts. We encourage consumers to get reliable information about the safety of vaccines from www.cdc.gov." No, it doesn't take a doctor, health official or "medical organization" to do the math. What it takes is caring about every life - whether that life represents a baby, toddler, child, teenager, young adult, adult or senior citizen - because every life is important and nobody deserves to be written off by a drug company or government agency as an expendable casualty of public health policy. Gabrielle, the 15 year old gymnast, honor roll student and cheerleader from Wichita, Kansas, who talks about how her health has been destroyed by Gardasil vaccine in the CBS report and in the NVIC video press release, spends most of her time at home or at doctors' offices now. A few weeks ago, her school voted her Homecoming Princess. On Saturday, she tried to go to the Homecoming dance. As she was getting dressed, she collapsed with seizures and severe abdominal pain. The medication she has been taking to try to control the seizures she developed after Gardasil vaccination caused her to develop kidney stones. She was rushed to the emergency room and hospitalized. In the past 27 years, the stories of death and brain damage that have been reported to the National Vaccine Information Center have never changed. Whether the vaccine victims are 15 months old or 15 years old, the stories are the same: a trusting parent took a bright, healthy child to a doctor for a routine vaccination and the child was never the same again. Gardasil vaccine was inappropriately fast tracked and licensed by the FDA and recommended by the CDC with too little attention paid to the reports of brain and immune system dysfunction that developed after vaccination in pre-licensure clinical trials. That same cavalier attitude toward Gardasil-related deaths and serious health problems, which have been experienced by many girls and young women after licensure, is inexcusable. Americans are losing trust in pharmaceutical companies making drugs and vaccines and in federal health agencies, whose responsibility is to ensure that drugs and vaccines licensed for public use are safe, effective and necessary. If those responsible for protecting our health are not going to step up to the plate and do their jobs, then it is up to the people to do it. At www.NVIC.org you can sign the Investigate Gardasil Vaccine Risks Now! petition, read NVIC's new report on Gardasil risks, and check out our new website that makes it easier to navigate and find information to prevent vaccine injuries and deaths. In 2009, I have a sense of déjà vu, as the story of Gardasil vaccine plays out real time. There are striking parallels between how those operating the mass vaccination system reacted in the 1980's to persistent reports that DPT vaccine was harming more children than originally assumed and the way they are reacting now to persistent reports that Gardasil is more reactive than it was originally assumed. Assumption of safety is no substitute for proof of safety. And turning away from human suffering in order to protect the status quo is not the way to run a government that needs the trust and support of the people. In the 18th century, Queen Marie Antoinette looked down at a starving people pleading for bread to stay alive and said "Let them eat cake." It is time for everyone in government, industry and medicine to take a different approach to persistent reports of vaccine injuries and deaths or risk metaphorically suffering the same fate that ended the monarchy in France. In the 21st century, today's peasants don't have pitchforks - they have laptops, desktops, smartphones and the internet.